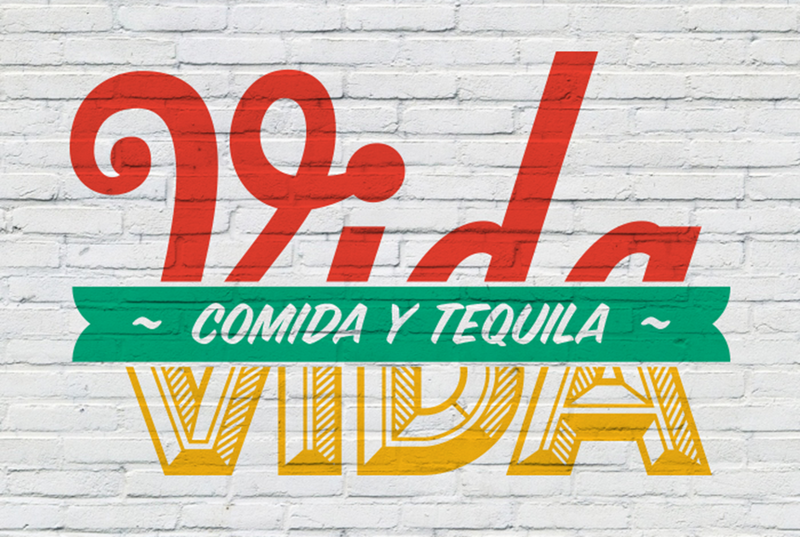 As a consultant to Orlando design firm Brand Architecture, I was asked to create a logo concept for a Mexican restaurant/cantina called "Vida Vida". They were in the beginning stages of a complete brand revitalization, and needed a brand mark that would match the vibrant, fun scene of the restaurant. My solution uses type you might find on a hand-painted street sign in Mexico City, and flashy yet complementary colors to complete the lively feel.